Hey ya'll, apparently im the newest member of these fine forums, so i thought id introduced myself. For starters, im not new to car forums, i have been a member on several car, racing, and specifically gran turismo forums, i was a moderator on one in particular, but they all closed. Thats how i wound up here. 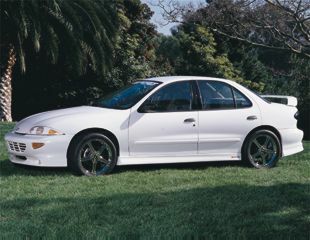 Im an avid autophile, i drive a 95 Cavalier SS (yes, I said SS). Im 16, and i am an artist. I draw pen and ink/ and pencil drawings of mostly cars, but whatever catches my eye, or whatever people want me to draw for them. I am also a pinstriper. I have done a lot of stripes on my car and my dads truck. Other than that stuff, Im siked about joining a new forum, it seems pretty good, i like it already, and i hope i can fit in here. Welcome, I've never has the chance to see a real '95 Cavalier SS. Please provide a photo. Did they even make a Cavalier SS? I know about the Z24, S-10 SS but never saw a Cavi SS. Pic? And there are other parts offered to make this g-ma style car look more aggressive. actually, its more of a joke than a factory trim level. Its a stock 2 L cavalier. Nothin special, i just shaved all the emblems off and put a SS emblem off like a 70-ish Chevelle SS. I'll post a picture as soon as my scanner starts working again, its not hooked up right or somethin. Oh, so that would explain why you told us it was an SS... twice. It almost looked like you were trying to pass it off as something it isn't. Na, its just a little joke i did, I am really a true hot rodder at heart, thanks to my Dad, but with a mid 90's Econorod, its kind of hard to relate to my hot rod roots. Thats why I did the SS, and all the pintriping on the body and engine. I have some metal plates I built under the visors and on them are stickers from hot rod shops and such. I have a plate in the back seat that has all the dash plaques from car shows i go to on it. I have dice on the mirror. I do what i can with what i got you know? and the guys at cruise nights and car shows get a kick out of it too, which makes me pretty excited. As long as you're having fun, that's the main thing. 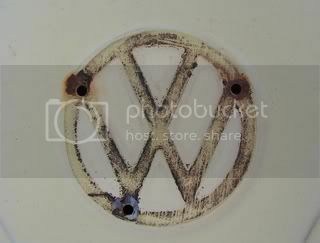 aint that the truth, btw, is that your vw in the avatar pic? that pretty wicked, i love slammed beetles. No but it's very close to my son's car except his has Centerlines now. I don't like pictures of anything I own, racers superstition you know. This is the closest I'll go to a pic of my stuff. They're both in there somewhere.